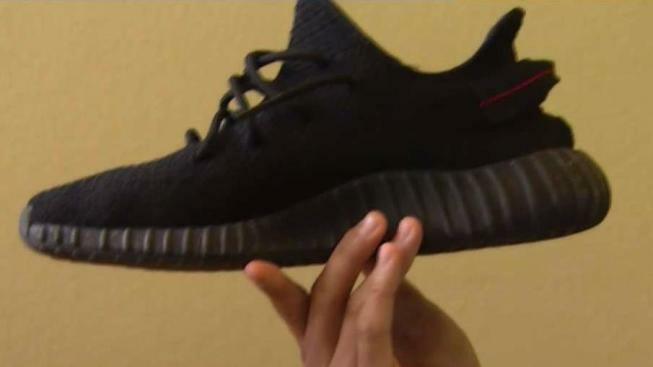 Thieves targeting Kanye West's "Yeezy" shoes and other popular sneakers are now in police custody. The four suspects are tied to at least nine armed robberies in Contra Costa County. The group was arrested by Richmond police, who said the department started seeing a slew of similar robberies taking place in the area. Hungchiun Chang is a recent victim. He put up a pair of the popular shoe, an Adidas and West collaboration, for $680 on Facebook Marketplace two months ago. Chang got an instant potential buyer who wanted to meet up and do the deal in the parking lot of a Richmond shopping center. But instead of handing over cash for the shoes, the buyer took out a gun. "Next thing you know he pulled out a gun and said get out before I shoot you," Chang said. Richmond police in response has rolled out a new exchange zone in front of its department. The area is designed to be a safe place for people to meet for transactions.